Description: The user is capable of converting free-flowing or generated water into blood, shedding their own blood and utilizing it however they wish and manipulating the blood of others to a degree. Since blood is denser than water, the Rank of varying Blood techniques is denser at higher Ranks. D-rank blood wouldn’t be nearly as dense as S-rank blood, though the viscosity may or may not be manipulated depending on what kind of technique the user is using. The density of blood is what allows for it to pack an extra punch as opposed to water and the user’s own blood can be more freely manipulated. Perquisites: All members of the Enjisawa clan are required to have Water-nature as their primary chakra nature. Chakra Cost: Does not apply. Benefit: Mastery over Ninjutsu is greatly increased and efficiency in Ninjutsu against an equally leveled opponent that does not specialize in Ninjutsu is heightened. 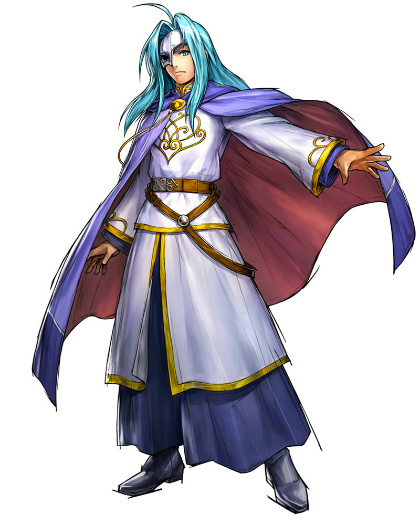 Face Claim: Alex "Arcanus" from Golden Sun. First and foremost, Mizuko verges on being a "control freak" because he absolutely must be in control of everything and will do whatever needs to be done to maintain control once it is in his power to do so; because he has to even out many temperaments at a given time, he tends to be great at being whatever it is the people (his subjects) need him to be. The real Mizuko however, is very inquisitive and has an eye for talent. He's drawn to those who possess special abilities or hold positions of power that could be of use to him. People tend to gravitate toward Mizuko due to his magnanimous actions and eloquence, which plays into his favor, especially in politics since more are willing to put their faith in him as a world leader, but behind the scenes, there is a much darker reality. He does particularly well in a group setting and delegates members of said group well, though, he himself, doesn't like taking orders from a rival personality and would likely arrange an elaborate death for those who so openly defy and/or talk down to him. Rarely ever does he get his hands dirty, especially out in the open since he is a public figure of Kirigakure and cannot have misplaced trust from the people who inhabit it. Altogether, Mizuko is full of drama, flair and extravagance that is reflected in how he gets things done, his behavioral habits and the impact he has in his workplace. Being at the fore of an entire ninja village, he tends to keep the "parts" moving in sync and irons out any problems before they become just that. He has a vision of the future and reaches out for it, fueled by an unquenchable flame. The flame of ambition. Below list the Jutsu that your character uses. Ensure you follow the given template and make sure you review the Jutsu limit for the various ninja ranks in this section of the forum. Drawbacks: This technique is wholly dependent on your character's rank. If your character is the same rank as the jutsu used (D-B ONLY) then he/she can break free of its influence. If he/she is a rank below the Genjutsu, he/she will have to inflict pain on themselves or have someone else apply a surge of chakra into the character in question. If the Genjutsu is two ranks above the target, it cannot be broken out of except by having someone else aid the character in question. Description: The ninja stops the flow of chakra in their body, and then applies an even stronger power to disrupt the flow of the caster's chakra; this is called Genjutsu Dissipation (Genjutsu Kai). This can also be done by an unaffected ninja by applying a sudden surge of chakra into the affected person. Description: This displacement technique is a specialty of the Enjisawa clansman, where one causes a mist of blood to spring forth by lifting up some water from either a pre-existing source and converting it or expelling water from their mouth and converting it that way, then goes in and out of sight at will from within the crimson red realm. The mist's thickness is controlled by the amount of chakra kneaded into it. It can't fool the Byakugan, but, due to the mist being created with the user's chakra, any Sharingan and Rinnegan-user will see the mist colored by their opponent's chakra, which will effectively hide the user from the dōjutsu. It also makes detection a whole lot harder for sensory-type ninja because the mist of blood smells of the user’s blood and its scent is everywhere within the 15m radius. Drawbacks: Should the user use this technique to bind foes it lasts for 2 posts. Description: The user launches tendrils of blood from their fingertips which can be used to skewer multiple targets or bind them. As soon as the blood entraps the user, it constricts them, becoming too dense for the target to escape. These tendrils travel at 10ft/s, making them very difficult to avoid without prior preparation and/or an environmental advantage. Drawbacks: Movement speed reduced by 25%. Description: The user focuses his/her chakra all throughout his body, increasing the density of his/her blood by enough to resist other B-rank Taijutsu/Ninjutsu techniques by 50% and A-rank Taijutsu/Ninjutsu techniques by 25%. C-rank techniques and below have very little effect on the user. This technique can be used on allies to produce the same effect or enemies to increase their blood density so much that it leaves them immobile for 3 posts or lessen their movement speed by 50% for 5 posts, making them terribly slow. For every other target it subtracts -5 chakra from the user’s total amount of chakra and he/she must have Blood Release: Underlying Blood Body active in order to use it on others. Description: The user produces a partial exoskeleton of highly condensed blood. The blood is excreted from the user’s pores and its shape is that of a ribcage of blood with a pair of shoulder blades that has three arms protruding from it and another pair of arms that span alongside the user’s own arms. Their head is protected from behind by a pad of blood and there’s a spinal cord with a tail hanging off of it. Parts of the thighs are protected by a pad of blood and so are the calves. The arms extend to a maximum of 3m and they can shape shift according to the user’s whim along with the tail. Two pairs of three of the hands can fuse together and form a pair of wings which allow for the user to fly over 20m high at 10ft/s. The hands can perform hand seals, but since it’s an extension of the user the chakra cost remains the same. The exoskeleton offers 50% resistance from A-rank techniques and 25% resistance from S-rank techniques. Hand Seals: A special hand seal: the user performs a single hand seal with his/her other arm stretched out as though it were about to pull something in the direction of the target. The user puts his middle and index finger together with their thumb sticking out and pull back with the other hand. Duration: 12 posts or until destroyed. Description: The user focuses a whole lot of his/her chakra on a single target and after performing a special hand seal are able to tear a quarter of the target’s blood from their body, replicating their DNA from the amount of blood taken from him/her and allowing for an identical version of the target that has no will of its own to take shape. In turn, making for a very powerful ally. Unfortunately every technique used costs 25% as much chakra to use since the replication is made from only a fraction of the user. Technique: Blood Clone Technique "Ketsueki Bunshin no Jutsu"
Chakra Cost: 20, +5 for every additional clone. Description: The user is able to create up to ten clones made out of blood. These clones are not illusions but actual copies of the user with a fraction of their power at their disposal. It takes a few blows for these clones to disperse into nothing more but blood, however, this is proven difficult since the clones are able to condense their blood on a whim allowing for improved durability if/when used against opponents. Every individual clone can condense to the point that it binds the user for 2 posts if they get into physical contact with it at the cost of its own mobility. For every additional clone used (a maximum of 10) the cooldown increases by two posts. Ninja at C-rank can use a maximum of 3 clones, B-rank 5 clones, A-rank 7 clones and S-rank 10 clones. D-rank ninja can only use a maximum of 2 clones. Technique: Vampiric Blood Seal "Kyūketsuki no Chi Fūin"
Description: The user can either bite into the target, touch the target with his/her palm or otherwise contact the target physically. Once contact has been made a circular seal with two minute fangs centered within it is imprinted on the part of the skin where the user made contact. A patch of the target's blood melded with chakra is centered underneath the seal and once the user releases the seal, 30 of the target's total chakra is absorbed by the user if its remained on them for 6 posts and 15 of the target's total chakra is absorbed by the user if its remained on them for 3 posts. It can only be used once on the same person in a thread. This Technique can also be used to acquire a blood sample from the user through more subtle and indirect means. Technique: Water Release: Great Waterfall Technique "Suiton: Daibakufu no Jutsu"
Description: This technique extends water over a large scale, surges and rises up to several dozens of meters high. Then it streams down to the ground in one big cascade, much like a gigantic waterfall. In doing so, it resembles a huge wave, with tremendous power that can hollow out the ground. What remains after that technique's utilization is reminiscent of no less than the aftermath of a natural disaster. This is a considerably advanced ninjutsu, and activating this technique requires a fair amount of chakra. Technique: Blood Flow: Red Rush "Chi-ryū: Aka Rasshu"
Description: The user channels his her own chakra into the target's blood stream and forces the target's blood to rush to his/her brain instantaneously, resulting in immediate asphyxiation and leaving the target unconscious for a set amount of time. In order to the technique to work the target needs to be relatively close to the user and vice-versa. A way around this is to employ a Blood Clone in order to get closer to the target. Description: The user spits out a great volume of water from their mouth, swallowing up and crushing the enemy with the advancing surge. The user can ride the wave, allowing them to move at high speed, and attack the enemy, now swept off their feet, without fear of counter-attacks. The amount of water created is proportional to the amount of chakra used; with some user’s enormous chakra, even a dry wasteland can become a small, 120ft deep ocean. Afterwards, the excess water can be used for additional Water Release techniques. Description: This technique shapes a large amount of water into a giant, powerful dragon, which hits the opponent with formidable might, dealing physical damage. The ideal place to use it is near a body of water, but if the user's skill allows it, it is possible to use it even in a place where there is none. The amount of water used will be in proportion with the user's skill. Description: By mixing a source of water with chakra, the user can create a whirlpool of differentiating sizes in order to drown their opponent(s). Technique: Water Release: Water Encampment Wall "Suiton: Suijinheki"
Duration: Maximum of 6 posts. Description: This defensive technique creates a wall of water around the user. Enemy attacks are completely intercepted by a fence of water blown out from the mouth, and is raised from below with tremendous might. The water is blown out in the form of a circle around the user, and it makes for a defense without openings. It is also possible for the user to control the amount of water and duration at will. The wall's strength and resistance change following the quantity of chakra poured down into the water, so a skilful shinobi will be able to build a sturdy one. Furthermore, because the field of vision is maintained even while defending one can easily go on to the next move, which is a great advantage. The wall can also be formed from a pre-existing water source. Technique: Water Prison Technique "Suirō no Jutsu"
Description: This technique is used to trap a victim inside a virtually inescapable sphere of water. The only downside to this technique is that the user must keep at least one arm inside the sphere at all times in order for the victim to remain imprisoned. This technique requires a sufficient amount of water, which can be provided by expelling it from one's mouth. Once trapped the target is unable to move while within it due to the heaviness of the water. Because of the density of the water it can be used, to a limited extent, for defensive purposes if performed on oneself. It can also be stored in scrolls as traps. Technique: Water Release: Hiding in Water "Suiton: Mizu no Naka ni Kakurete"
Range: Wherever there's a water source. Duration: For as long as there's a water source. Description: The user blends in with water to be undetected by the enemy. This technique is usable even in water as shallow as a puddle. While leaving concealment, water simply appears on the floor and rises up, revealing the user. Technique: Bringer-of-Darkness Technique "Kokuangyo no Jutsu"
Range: Target must be within 10m of the user. Description: This technique exerts an hallucinatory effect upon the eyesight, effectively blinding the opponent. No matter how skilled an opponent may be, they are forced to wait helpless in this world of darkness, as this technique allows the user to attack unseen. Although it negates sight, it does not stop the other senses. Technique: Soulbane "Tamashī wa Nayami no Tane"
Description: This is a powerful genjutsu known to be forbidden among the Konohagakure ninja. It targets the mind and causes the target to believe that anyone is a foe. While under the effects of the genjutsu, anyone affected will attack those who they believe to be enemies, even their closest friends. They will act completely coherent, however, almost as if it is of their own volition, but they will not listen to reason. Once defeated, they return to normal with no memory of the events. Technique: Blood Flow: Puppet Technique "Chi-ryū: Kugutsu no Jutsu"
Description: The user is able to channel his chakra into the target's own blood and manipulate his/her motor-skills with it. It can be used on a maximum of 5 small targets, 3 medium targets and 2 large or humanoid targets. It cannot be used on a player-character until their total chakra has been reduced by half, however, it can be used on non-player characters and recently-deceased corpses. The skill with your Kekkei Genkai techniques is impressive and because of this you are able to utilize your Kekkei Genkai more potently than other members of your clan. Bonus: Mastery over your non-Dojutsu Kekkei Genkai is greatly increased. Consequence: Damage dealt by Dojutsu is greatly increased. Restricted Perks: Eyes of Madara. The members of the Enjisawa have a hidden contempt of those whom once followed them loyally and oftentimes miss the power that their clan’s fearful reputation brought to them. Bonus: Should the Enjisawa use his/her own blood for his/her techniques, the raw power of every technique is increased by 1. For example: a D-rank Blood Release technique would have the power/effectiveness of a C-rank Blood Release technique. Consequence(s): If the blood used is the user’s own then the following applies: +5 chakra for D-rank techniques, +10 chakra for C-rank techniques, +15 chakra for B-rank techniques, +20 chakra for A-rank techniques. The additional chakra compensates for the amount of blood lost. Mizuko grew up with a fairly twisted childhood. Due to his family's prominence in Kirigakure and because he was the heir to the clan, his family had exceedingly high expectations for the boy. They were unlike the expectations a parent has for his/her child and more like the expectations a researcher has for a test subject. All his family ever wanted was for Mizuko to become as powerful as he could be and as quickly as he could acquire such power. He never knew what it was like to make friends and he wouldn't dare defy his family's authority, so he did what he was told to do. That meant remaining in the Enjisawa study for hours on end and studying the politics of the ninja world as well as the history of Kirigakure and their clan's involvement in it. This worked well for him until he reached around the age of eight. It was around that time that his parents started treating him to little critters, which were at the time, his only friends. Since he never had any real friends he regarded the critters as such and would play with them and generally have a good time, but, that wasn't why his parents left them for him. No, the reason behind it was much more utilitarian and overtime he realized this. Mizuko knew he was doing something wrong when his meals were smaller and more infrequent and he was mistreated by his clansmen. One day, Mizuko openly asked his father of their attitude toward him and his father expressed how he had not yet met the requirements of his lineage and would be forced to suffer until he did. Poor parenting. This meant very little to him at first, but during a cold evening he got so upset with his father and those who dutifully served his father that he took it out on one of his critters, resulting in the manipulation of their motor-skills. When he realized what he was doing he had actually enjoyed it and never thought that the critter may really be hurting physically and inside of itself. As the years went on his family kept giving him animals of all shapes and sizes and he would create stage plays using his innate abilities. He had so much fun that he'd often lose himself in the act or even play a part in it. The meals were returning to him and he was even able to go outside and play a little. By the time Mizuko reached ten years of age, his critters had died out and he no longer had friends to play with. At the time he had no one else to go to but his father and told his father that he wanted more playthings. His father wouldn't allow it and threatened to do much worse should Mizuko ask it of him again - it hadn't been the first time. This became bitter resentment for his father. At around midnight, a strange man broke into Mizuko's room and attempted to assassinate him. The man wore rags and it was unusual that such a person could've infiltrated the Enjisawa compound. Mizuko wasn't at all trained in Taijutsu at the time and he only knew how to do one thing... manipulate blood. Thus, he did so... and the man became his puppet. That night, Mizuko forced the man to thrust the knife into his throat in self-defense. Apparently that's exactly what his father wanted and the following day a ceremony was held in light of Mizuko's "accomplishment". He didn't know whether to feel good or bad for what he did, but it got him the attention he preferred to receive. After that ceremony, the real training was about to begin. His father's retainers became Mizuko's personal trainers and he was mentored by his father in the affairs of state. Instead of being treated like a test subject he was treated like a prince. It made him feel great and over the years he had ambitions of his own to reach out for. As it would turn out, sooner than his father would have wanted. After all the years of abuse, at around the age of twelve, Mizuko rallied a fraction of his father's retainers and rose in revolution against his father's reign. When Mizuko stormed his father's private chamber they engaged in brutal combat. It was perhaps his most memorable duel because he had such a strong hatred for the man he was fighting. This wasn't business, not entirely, it was personal. Ultimately, Mizuko was the victor and he personally thrust a tanto in his father's chest. It marked the dawn of a new House-Head, the rightful heir. Somehow, using all the connections they possibly could, the Enjisawa clan managed to keep the nightly rebellion under wraps. Officially, the House-Head went mad and attempted to slaughter his fellow clansmen. The first thing he did, in order to rally popular support for his new role, was attend the Ninja Academy like all potential shinobi did at that age. His scores were off the charts of course, but, he was able to mingle with his peers long enough to give the illusion of friendship. By the time he became a Genin, he had far exceeded the Jounin tasked with leading their squad. Afterall, his kekkei genkai gave him a unique advantage over his peers as well as his years of experience. The moment the Chuunin Exams began, Mizuko partook in them. It wasn't that difficult besting his peers since he was at that time Jounin-level. Even as a Chuunin, Mizuko wasn't the most sociable young man, but, he people generally opened up to him and respected him for his abilities and his generosity. There were many cases where he pulled a few strings for his "friends" to get them out of trouble. It was almost as though he was some kind of miracle-worker to his peers. This gave him a lot of access to their personal lives and he used that access to his advantage; to give him the upper-hand. They were potential competitors of his future and he'd rather be prepared for the worse than have to think it all through in mere seconds. When Mizuko became a Jounin at the age of 16, he elected to be a Squad Captain and mentored three Genin. One of these Genin stuck out the most to him and his name was Satoshi Kagayaku, one of the scattered Kagayaku clansman with the kekkei genkai, Crystal Release. Naturally, he was drawn to those born with special abilities and the two became fairly close. Satoshi made for a great study and in turn, Mizuko took him under his wing and sheltered as well as provided for him. It was the closest thing to a ''real" relationship that he had at the time. Nevertheless, all three of the Genin under his command succeeded in their careers as shinobi and Mizuko used the opportunities they had to travel beyond the Land of Water to his advantage by researching a lot of the kekkei genkai that Mizuko had encountered during the course of these trips and observing first-hand how they work and what they're capable of. In a matter of months he was what one would call "worldly". Overtime he worked more and more closely with the young Kagayaku and even relayed some of the plans that he had for the future of Kirigakure. He wanted to one day be the Mizukage and reign over not only the Enjisawa clan but the entire village. It would require a lot of hard work and effort, but, he'd get to that point eventually because he wouldn't allow for any obstacle to set him back, instead, he would obliterate them as they came. He expressed interest in becoming an ANBU operative to the Kiri Council, who in turn brought it to the attention of the Mizukage, who, at that time, chose to elect Mizuko into its ranks. His role as an ANBU operative would last for the following three years and over the course of those three years he had taken on some of Kirigakure's shadiest and most elaborate missions, which he thought of perhaps using against the Kiri Council in the future as leverage. After all, for all they knew, he had a clean record. When Mizuko reached nineteen years of age, it was decided that the Mizukage was too old and needed to retire and decide on a successor. At the time there were multiple candidates for the position and Mizuko of course, wanted to get in on that. He joined the race. Most of the candidates were cut down by popular vote... but there were so many candidates that a tournament was to be held. It was a "rule by virtue of being powerful" tourny and it would ultimately decide who will become the Seventh Mizukage. Mizuko surprisingly won over his opponents fairly, but there were one or two casualties as a result. However, it was a tournament among champions of Kirigakure so fatality was anticipated by the Kiri Council, though they'd never openly admit it. When Mizuko was declared the champion of the tournament, the Mizukage expressed that he would follow through with a psyche eval. Afterward, the two began working together. It was difficult trying to maintain a facade and a shadowed family history from an elderly man who had experienced much of life and met many different people over its course... but, Mizuko managed to succeed in doing so. It would've normally resulted in a peaceful agreement where the sixth Mizukage would hand the reins to the seventh Mizukage, but, Mizuko quite liked experimentation and did it often at his compound, in privacy. 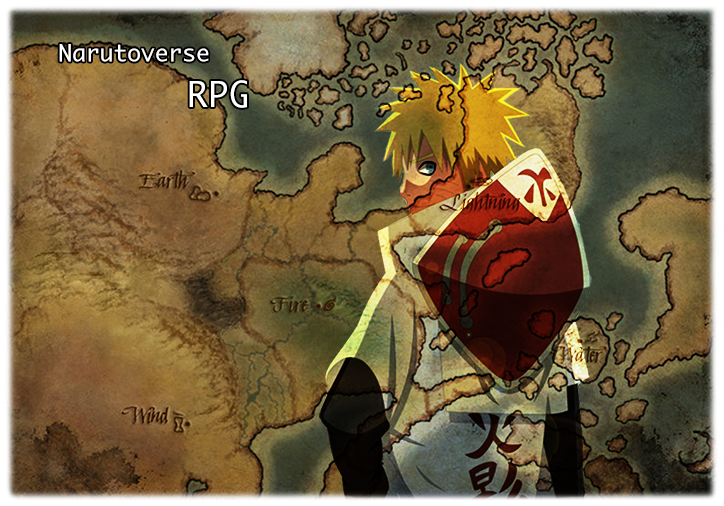 The sixth Mizukage used the Hiding in Water technique and infiltrated the Enjisawa clan compound to get a first-hand look at what was really going on in there... and what he found was Mizuko with his experiments. Transplants, vials upon vials of blood samples varying diagrams that detailed physiological changes in the body as well as some of his own hand-written diagrams which went into extensive detail on particular kekkei genkai. Unfortunately for the sixth Mizukage, Satoshi was able to detect faint vibrations coming from one of his strategically placed crystals and the sixth Mizukage was spotted by Mizuko. Mizuko had the field advantage and wouldn't allow for his laboratory to be ruined by an elderly man. I'm afraid you've seen too much, Mizukage-sama. The sixth Mizukage knew he'd have to fight and win in order to survive this encounter, but, unfortunately for him, Mizuko had all the advantages. "...Perhaps I shall grace you with my most recent albeit imperfect technique." The Mizukage attempted to defend himself by performing the hand seals as best he could, but, Mizuko was too fast for him and tendrils made of blood constricted his hands and arms, his physical strength alone was not enough to break free of its grasp. "It will be a glorious end fit for the Venerable Sea Snake of the Mist." The Mizukage didn't panic and instead stomped his foot, generating a torrent of water from beneath his feet which began rising and becoming more and more violent. To counter it, he stretched out his index finger and pointed it in the direction of the water, converting it into blood, making it a whole lot more denser and harder to manipulate, even for a skilled shinobi such as the sixth Mizukage. "Observe. Your water release has no effect; and I use it against you." Ox → Monkey → Hare → Rat → Boar → Bird → Ox → Horse → Bird → Rat → Tiger → Dog → Tiger → Snake → Ox → Ram → Snake → Boar → Ram → Rat → Yang Water → Monkey → Bird → Dragon → Bird → Ox → Horse → Ram → Tiger → Snake → Rat → Monkey → Hare → Boar → Dragon → Ram → Rat → Ox → Monkey → Bird → Yang Water → Rat → Boar → Bird. His hands made all the necessary motions in mere seconds and just like that a virulent blood dragon took shape and drilled right into the sixth Mizukage, leaving him near-death. "...While that was fairly impressive, it's not how I intend to end this." He rose his middle and index finger next to one another with his thumb hanging out. "Blood Release: Replication!" ...and with his other hand he teared at the direction of the sixth Mizukage and a large portion of the Mizukage's blood was forced out of him. What was a mass of blood became a perfect replica of the sixth Mizukage. With no blood left in the old man's body, Mizuko dispelled his hold over the sixth Mizukage and he collapsed to the ground, nothing more than a lifeless corpse. "Hello again, Mizukage-sama. I do believe it's time for you to sign for my approval as your successor." He directed what he said to the replica and it nodded, "Of course, Mizuko." In a monotonous tone of voice. Of course, when in public its voice would be adjusted and mirror the real vocals of the old man. ...the following day, Mizuko, followed by Satoshi and the sixth Mizukage announced to the public that a decision has been made. The replica gave a genuine smile to the people and stamped his seal of approval for Mizuko to become the Seventh Mizukage of the Hidden Mist. Later that night, the Sixth Mizukage was declared dead and his funeral was held, the one to read the eulogy was none other than Mizuko. What was important to the Seventh Mizukage was progress and everything he had done up to that point, was what he felt needed to be done. The obstacles he had to obliterate; he wouldn't allow anything or anyone to get in his way and ruin everything he worked so hard to accomplish. To him, the ends justified the means. The crowds outside of the Mizukage's Residence were louder than ever, cheering their Mizukage on for his entrance for today's celebration. The founding of Kirigakure was a big deal. The banners of the five noble clans were hung high as well as the banner of Kirigakure itself. Mizuko had two symbols he took great pride in, being the Kirigakure insignia and of course his clan's own. He stepped outside of his chamber and looked down at the masses from behind a podium marked with Kirigakure's emblem atop the five other emblems of each noble family. He raised his arms; a gesture for the crowd to quiet down, but he did this with a bright smile on his face. "It's a glorious day for this milestone in the history of the ninja world." He paused, setting the mood for this deeply rooted celebration. "...there was a time when I was one among many, and I stood alongside my brothers and sisters of the Hidden Mist... but on this day; this year; I am proud to be the one addressing you all in commemoration of our village's founding!" Once the tone of his voice had risen it was a cue for the people to cheer him on. After all, one day, they could be in his shoes. He represented the potential for a shinobi standing next to you, to one who becomes one of the Five Greats. "Before we begin, let us all offer our silence for my predecessors; our founding fathers." Little did the people know that he was responsible for his successor's death. Either way, Mizuko had to give him the respect he deserved, he was only doing his job by investigating the Enjisawa clan compound for any secrets that his potential successor had, to more properly evaluate whether he was suited for the position. I've completed my character application. ...unless otherwise stated by another Administrator. - Shizue’s hobbies are deep-sea diving and reading about the history of the Hidden Leaf. - Shizue wishes to fight Kazuma Uchiha. - Shizue’s favorite foods are clam and tea dumplings. His least favourite is radish. - Shizue has completed 2 official missions in total: 0 D-rank, 1 C-rank, 1 B-rank, 0 A-rank, 0 S-rank. - Shizue's favourite phrase is "It is best to win without fighting." (それは戦うことなく勝つために最善の方法です, Sore wa tatakau koto naku katsu tame ni saizen no hōhōdesu.) and Shizue’s favourite word is "family" (家族, kazoku).